For the first half of this decade, the Lynguistic Civilians dominated Vermont hip-hop. In terms of both popularity and visibility, they've been Burlington's foremost rap ambassadors and a guaranteed draw anywhere in the state. In 2016, however, the group's future is in doubt, and founding member Mister Burns — aka Scott Lavalla — is staking out a solo career. He's touring New England in support of his debut project, Raised Right. So, does Mister Burns hold his own in a solo context? Absolutely. He was both manager and producer for the Civilians, so he's not exactly trying to find his direction here. This is a strong debut, a statement from an artist who knows what he wants and how to achieve it. The album opens up on a two-track combo with a feel squarely in the Civilians wheelhouse: upbeat, simple and catchy. "What a Good Time" and "Soul Searching" each lead with bright vocal-sample chops and introduce Mister Burns' signature polyrhythmic flows — and copious movie references. With the Mister Burns persona in the spotlight, some interesting contradictions emerge. He's still aiming squarely for the regular-guy, party-time appeal that made Lynguistic Civilians so relatable. But the man who emerges on Raised Right has a work ethic and business vision to which the average pub patron could only aspire. Indeed, he dedicates two consecutive tracks to precisely that: "Hard Working" and "Different Resume." The album is admirably free of "rapping about rapping" and the obligatory rituals of dissing wack MCs; both reflexes are indulged only briefly here. Burns is past that in 2016, coming across as a wise older brother who's seen a lot and would like to see a lot more. Most of his verses here consist of personal advice and motivational speeches, and it makes for a cohesive listen. While Raised Right works without any guest appearances, it could benefit from more variation in Burns' flow patterns. "Cadence is unmistakable," he brags on the opening of "True Connections." That's largely because his cadence never changes over the 11 tracks. The biggest flaw with Raised Right has been a constant throughout the LC's discography: sound quality. Even on the best-mixed tracks here, the samples are raw and audibly distorted with a harsh, digital edge. Past midnight at Club Metronome, that's barely noticeable. But in headphones, it becomes a constant distraction. It's a real shame, because many of the beats are damn good, especially the monolithic groove of "Game of Cribbage." Whether Mister Burns can maintain the kind of popularity he enjoyed with the Lynguistic Civilians remains to be seen. But it's impossible to believe he'll fade away anytime soon. If anything, he sounds hungrier now. You can see the proof in person on Friday, July 1, at Positive Pie in Montpelier, and on Saturday, July 2, at Foundation, in the basement of Drink, in Burlington. 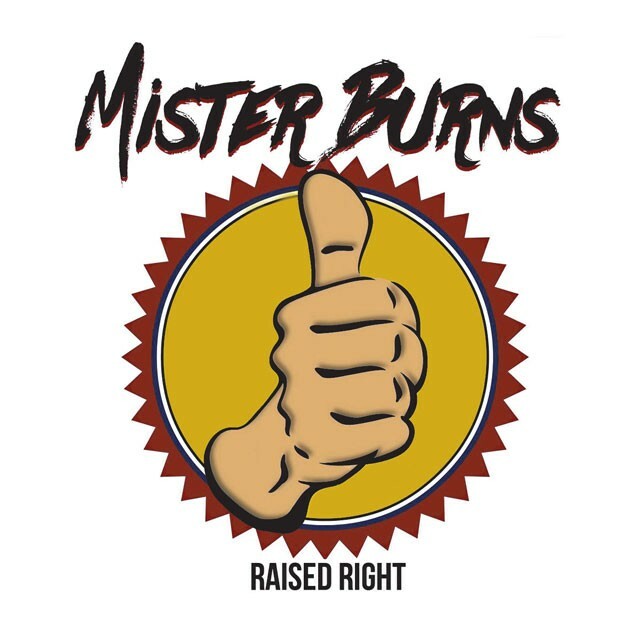 Raised Right by Mister Burns is available at misterburns.bandcamp.com.